As February comes to an end, we bid Reggae Month farewell (though truthfully its always reggae and ska month where I am!). As such, I thought it would be fitting to pay homage and respect to DJ Derek (AKA: Derek Morris) who has been spinning ska, rocksteady and reggae for nearly 50 years in Bristol and throughout the U.K. As the recent Reggae Britannia documentary so beautifully demonstrated, reggae has become the music of black and white in the U.K. and around the world. And it was pale-skinned musical pioneers like DJ Derek (a former accountant who quit to DJ full-time) who respectfully promoted their love affair with Jamaican music and culture and paved the way for many others who also love the music. In fact, on almost any given night of the week here in New York, reggae DJ's of all colors, ages and persuasions can be found spinning and it is a testament to DJ Derek and others. I went through two marriages and lost both my parents. And I didn't feel like sitting behind a desk totting up figures relating to chocolate bars. I was working for Cadbury's at the time. And I jacked it in, I nearly had a nervous breakdown actually, and a Jamaican friend of mine took over a local pub called The Star and Garter in St Paul's, and he said, I know you've got the records - come down and play records for me. Because it's traditional in Jamaican pubs, they have DJs. Usually it's black guys. But they knew I had the music. They said to me, 'if you don't play for us we'll have to go to Jamaica to get a DJ. You're the only guy we know got all the music. And I just started doing it and then another guy opened a club and he said the same thing, 'You must come and play for me' and I started doing wedding receptions and parties and everything like that. Until apart from when a white guy or girl was marrying somebody of the opposite colour, predominantly the dances I was doing were black dances. 500 people from all over the country [and DJ Derek breaks into a Jamaican accent] 'Why have you got a white DJ' - 'You wait till you hear his music!' 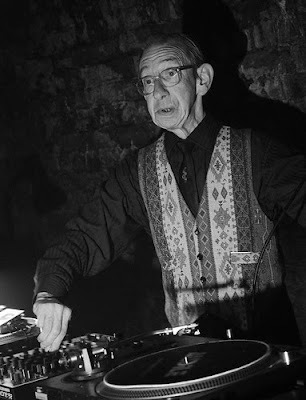 And then they'd come back to me at the end - 'Where do you get your music, man - sweet memories' And I called myself DJ Derek - Sweet Memory Sounds. Watch video director Jamie Foord’s excellent documentary about the charming patois chatting DJ Derek who is still spinning reggae tunes all over the U.K. He's a veritable walking history book about the history of reggae in the U.K. as well as a happy reminder that we live in a multicultural world and the sooner foolish politicians and others accept it the better. Happy Reggae Month! DJ Derek's reputation is such that he has released his own album 'DJ Derek Presents' in 2006 that includes his favorite ska and reggae songs. Dizzee Rascal also included him in the video for his most recent single 'Dirtee Disco'.